Get ready for fall! Let Perry Process get your boots and shoes ready for the season and store those bright white bags. 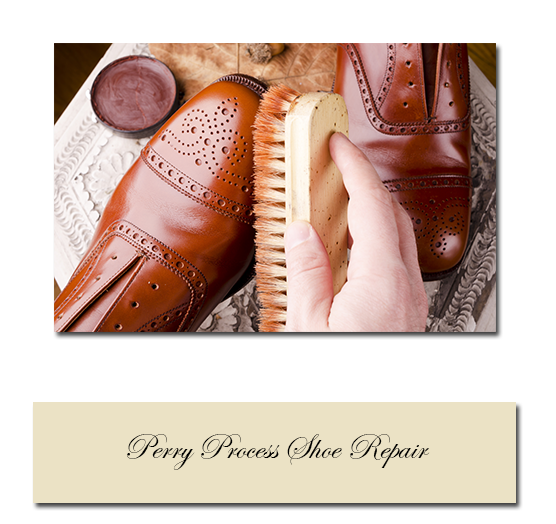 Perry Process elite shoe shine service refreshes and restores shoes for a clean and polished image. Gentle yet rigorous buffing imparts a high-gloss sheen, leaving your favorite shoes looking slick and new. Whether your heel got lodged in the sidewalk while chasing a cab or you just you need some post-winter maintenance, Perry Process expert staff virtually erases all wear and tear from your shoes. Soles are replaced, distressed leather is mended and footbeds are re-corked so you can always put your best foot forward.